The chief purpose of this site is to provide useful resources and convenient means for users to connect and collaborate. We are able to provide these resources thanks in part to the generous support of our Sponsors. Their support helps to ensure our organization remains a successful, independent user group. Please take the time to visit their websites and explore the multitude of products and services they have to offer on our Centricity Enhancements page. We have over 30 free forms and scripts available for immediate download so head on over to the Marketplace today! 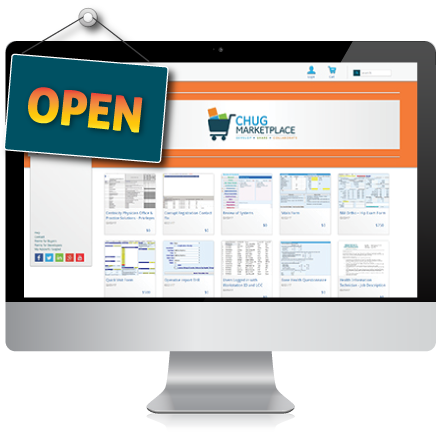 Sign up here if you would like to receive CHUG Board and User updates. Messages are infrequent (typically 0-3 times per month) and we do not share your email address.